As long as the subject of Barney is still fresh, it’s worth noting that he’s a man of magic — both onscreen and off it. Not only has he performed at The Magic Castle Club in Los Angeles, but his reputation and his rank go much further. At one point, he actually held the title of “Ambassador of Magic”. It sounds made-up, but apparently it’s a legitimate title — which seems like a missed opportunity that the show could have exploited, but it’s best not to dwell on it. They may not appear much throughout the show’s run, but Luke and Penny help reinforce the show’s entire premise — so it would have been more than a little awkward for Future Ted to end the last episode talking to people who had suddenly grown almost a decade earlier. 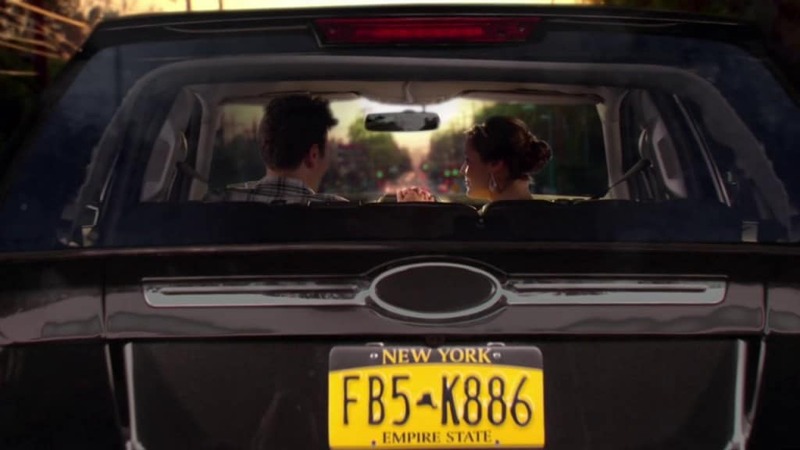 Luckily, the show’s masterminds had the foresight to film ahead; their final scene was wrapped up back in 2005, when the show first started. That’s a level of planning that a Bond villain would be jealous of. How I Met Your Mother may have made it to nine seasons, but like any TV show, there was no guarantee it would even make it past one. That’s a problem when the whole story banks on a major journey, but the crew handled it with a backup plan. If the worst came to pass and the show was cut short, then Ted’s baker girlfriend Victoria would slot into the role of The Mother — which makes sense, considering how close they came to a serious relationship. 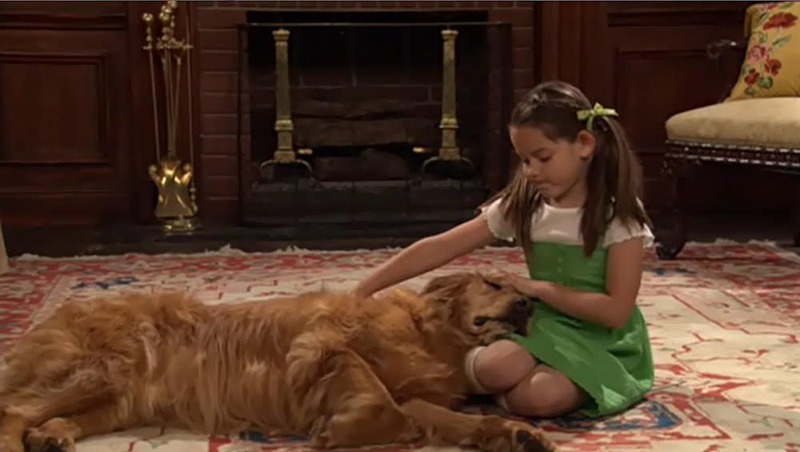 It didn’t work out, but on the plus side: Victoria is Ted’s most popular girlfriend according to the fans. 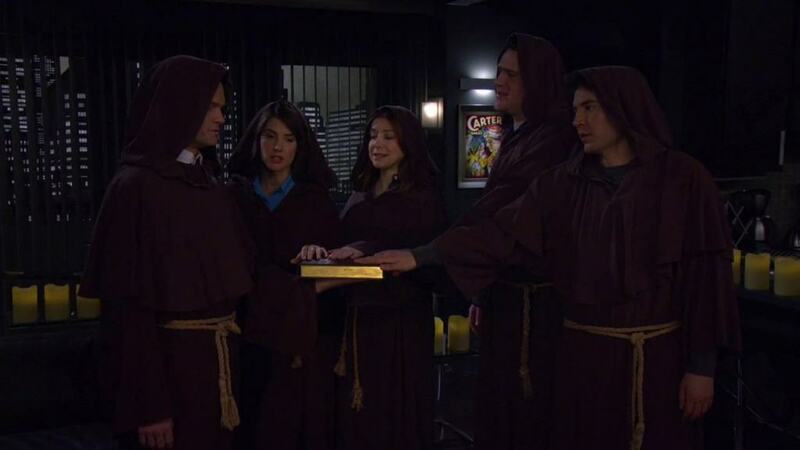 There’s probably a barge’s worth of fan fiction out there that gives them their happy ending. Even after The Mother’s reveal, plenty of fans probably wondered how the show would end — and the crew behind it wondered along with them. Two endings were made in advance, but the question of which one would hit the airwaves ended up being answered at virtually the last minute; the unused one ended up packaged into the DVD release. Debates on which ending should have aired — and the quality therein — will likely rage on until the proposed heat death of the universe, but even one contested ending is better than none. In theory, at least. 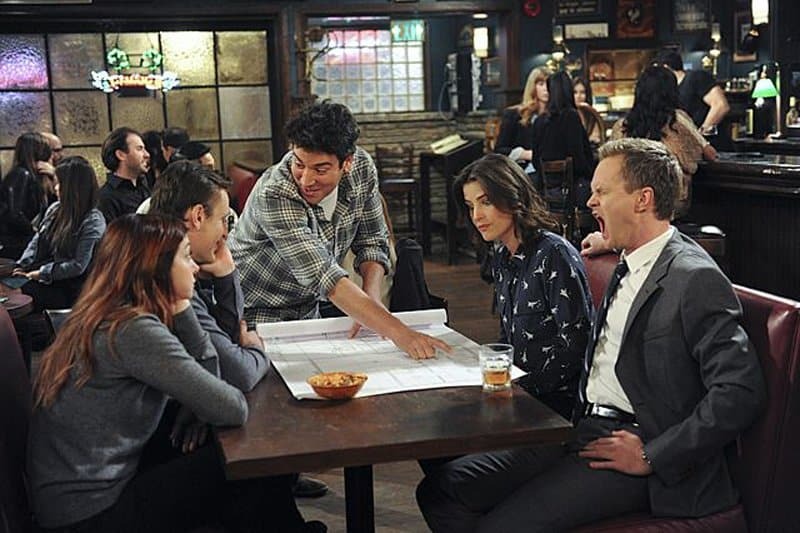 It took a strong creative vision for the crew of HIMYM to make the show that they did from start to finish — and it only took seconds for scores of fans to actively reject it. The show had themes, foreshadowing, and late-game twists running through its veins since the start, but its final moments proved too much for plenty of fans to bear; so, more than twenty thousand people banded together to make their discontent known. Hopefully the alternate ending quelled their rage, but there’s a lesson to be learned: always make two endings so that people can choose the one they like and won’t have to yell over the internet. 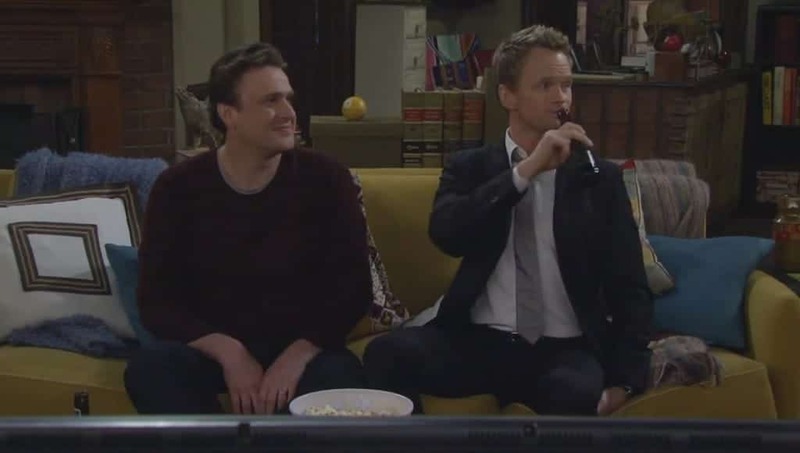 It may be a stereotype to assume that all tall people are good at basketball, but the 6’4″ Marshall Eriksen — and by proxy his actor Jason Segel — does his best to prove he has chops on the court. On the show, he boasts about how he won a slam dunk contest in high school; off the show, Segel actually did that very feat. There’s no telling if he can still slam and jam, but given how easy it is to utterly fail at the most basic parts of basketball, a past victory is still more than praiseworthy. Marvin Eriksen played a pivotal role in Marshall’s life, and formed the backbone of a story arc in the sixth season. Those episodes created some of the show’s most dramatic moments, but in hindsight, the drama diffuses with the knowledge that Bill Fagerbakke is also the voice of Spongebob Squarepants’ Patrick Star. Granted he also played a key role in the sitcom Coach, but the impact is still there; it’s hard to take Marvin’s advice seriously when it’s delivered by the voice of a shirtless, dimwitted sea creature. In the show, Robin — to Ted’s dismay — is actually a gun aficionado who’s not afraid to pull out a shotgun. In real life, however, Cobie Smulders is anything but. She’s said in past interviews that she’s afraid of guns, which is understandable; that said, it’s more than a little eyebrow-raising because she’s also the actress who plays Maria Hill in the Marvel movies. 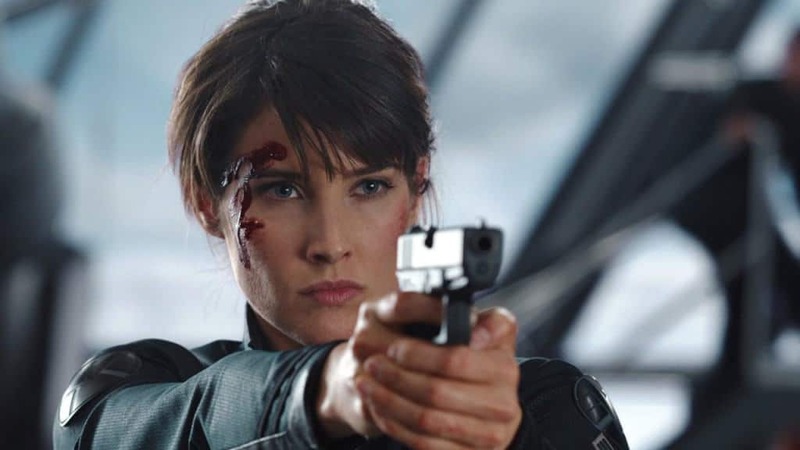 Not only is her character supposed to handle guns, but Smulders herself received professional training to handle and dismantle guns. Maybe all of the exposure therapy helped her overcome her fears — albeit with the delicacy of a sledgehammer. There’s no doubting Alyson Hannigan’s acting ability, given that she’s been a fixture in movies and TV shows alike. 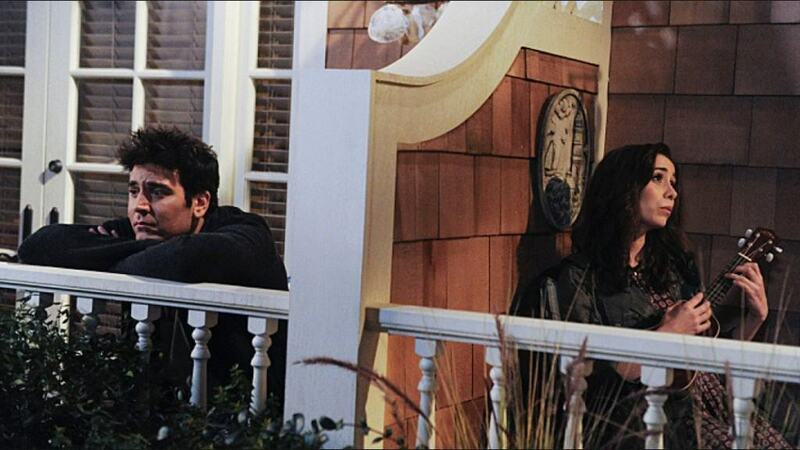 Still, what gave her the edge for a role as Lily Aldrin was essentially a spousal decree. The series’ writer, Craig Thomas — and the basis for Marshall — opted to use his wife Rebecca Alson-Milkman as the basis for Lily. Said wife agreed, but on the condition that Hannigan would play the role. Ted’s closest friends may have had the show’s most earnest and enduring relationship, but they didn’t always show it. More specifically, they didn’t French kiss often, if at all — the reason being that Jason Segel is a noted smoker when he’s off-camera, and Alyson Hannigan flat-out refused to indulge him, even if their characters were passionate lovers (Lily in particular). It’s hard to blame her for opting out, and there’s another valuable lesson in there for anyone to remember: smokers may never get to kiss beautiful actresses. It’s hard to imagine what sort of dismal future the world would have faced if NPH didn’t get the role of Barney Stinson, but luckily that’s a timeline no man will ever encounter. Still, it’s worth noting that Freaks and Geeks’ Samm Levine — who co-starred alongside Jason Segel, incidentally — auditioned for the role. He likely could have gotten it, but Levine stepped down and named NPH as a better choice. Never has an act of nobility paid off so well. It’s revealed early on that Robin made a name for herself as a Canadian pop star — and the show calls back to that on occasion by adding songs, shows, and specials throughout. But it goes beyond just a couple of lyrics and clips; there are full music videos for Robin Sparkles’ songs, and the songs themselves are available for purchase — in addition to others like “Nothing Suits Me Like a Suit”. They give the show a longer reach, and become retroactively funnier with the knowledge that an agent of SHIELD is behind the lyrics as much as Robin Sparkles. It’s worth noting upfront that nearly all of the directorial duties were handled by Pamela Fryman, with well over a hundred episodes to her name. 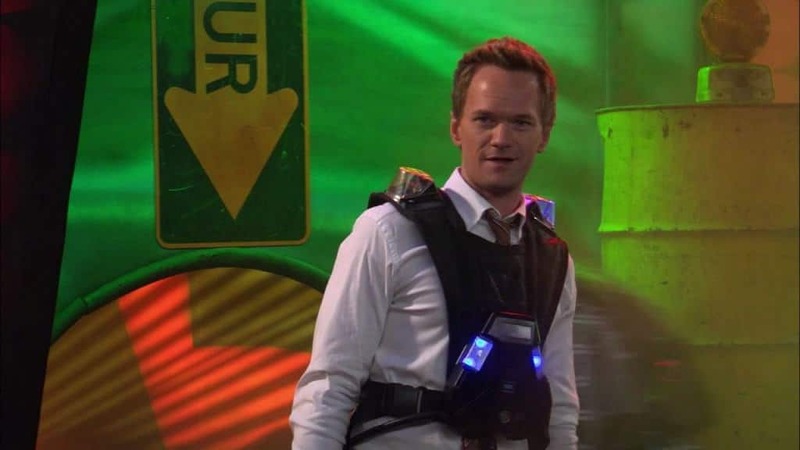 Still, Season 5 brought with it NPH’s chance to shine behind the scenes; the episode “Jenkins” marks his grand debut in the field. While the actor confessed that it was equal parts terrifying and exciting, the episode itself played out well enough for the layman to never notice a difference. 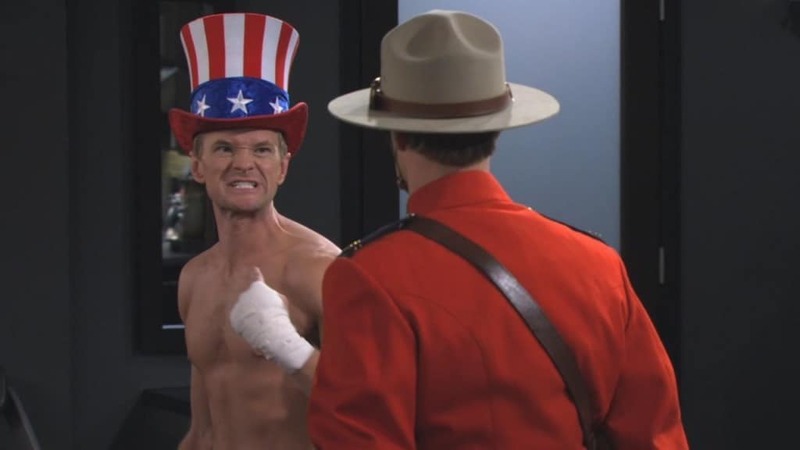 It’s almost as if NPH is awesome or something. 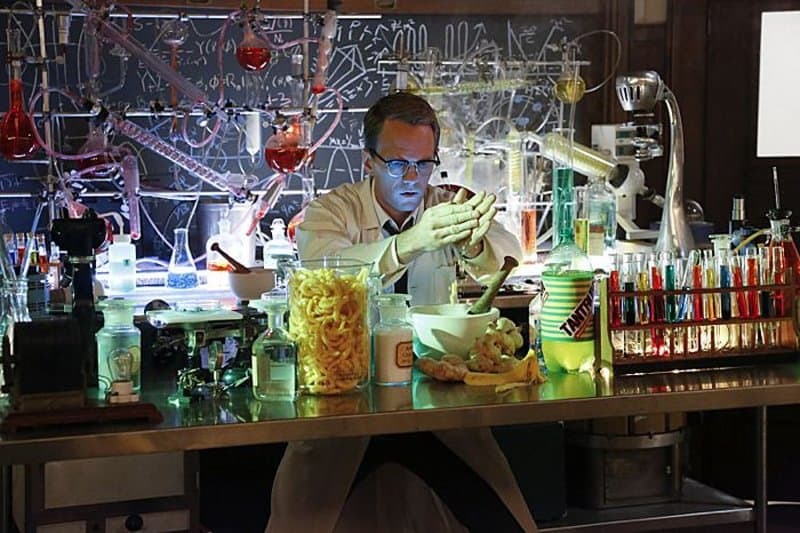 Tantrum may be the borderline-deadly soda that the gang relies on from time to time, but Red Bull is the drink that NPH can’t do without. That’s true on and off the set; to compensate — and give thanks for the free advertising — the company behind it decided to not only give him a lifetime supply of the stuff, but also threw in a mini-refrigerator to help accommodate him. One can think of it as a reward for a job well done — and it all happened without Barney donning a Red Bull-themed suit or blathering on about wings. A class act, indeed. Longtime fans may remember that Robin used to own what was effectively a fleet of dogs, but they made their exit early on — which might have been a move that saved Josh Radnor’s life. Not only is the man behind Ted Mosby allergic to dogs, but in one instance he had such a severe reaction that they had to bring in paramedics. That dedication to the craft is admirable; on the other hand, there are likely better ways to die than showing love to animals that eat by stuffing their faces into bowls. It’s true that there’s a laugh track built into each episode of HIMYM, but unlike other shows, there’s no audience to respond to every joke. Still, there’s some studio magic that puts the laughs right back in; each episode was filmed and finished in advance, then shown to an audience later on. The reactions were recorded, added to the episode, and created the illusion of a live audience — all done so it could maintain the show’s signature format and flow. That’s a long way to go to keep up appearances, but in a lot of cases, a sitcom without a laugh track is like a plane without cushy seats. Or any seats, really. 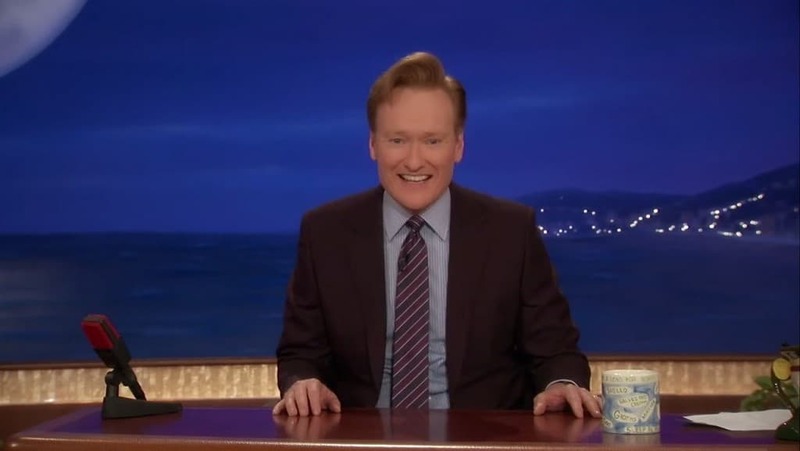 The show’s no stranger to special guest stars — Britney Spears being a notable one — but curiously, Conan O’Brien made a cameo without so much as a comment from the main cast. The reason is simple: Conan made it onto the show thanks to a charity auction he won, much to the writers’ delight. Despite that, the comedian insisted that he should only have a brief appearance, so his greatest contribution was to be someone Barney could run past in MacLaren’s. It’s an interesting tidbit, but it’s a missed opportunity big enough to bring entire countries to tears. Given all the teasing throughout the show — and the title, in case anyone forgot — it was a given that The Mother would play a pivotal role at some point. Naturally, the show’s crew had to get the best person for the job. Cristin Milioti met their requirements, but effectively did so blind; the subject of the role didn’t come up in an interview, and her actual audition was done with fake scenes with no connection to the show. The gambit paid off in the end, but that’s still an incredibly gutsy move to make when the backbone of a show is built on a single character’s performance. Maybe the crew just felt lucky. 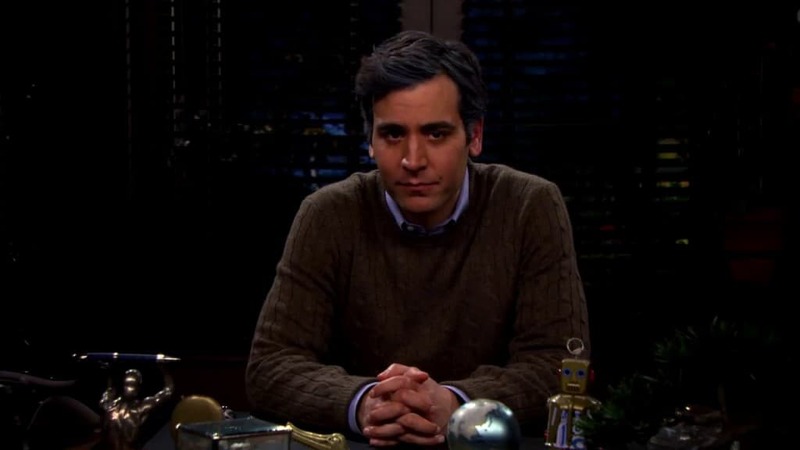 It wasn’t enough for the cast and crew to leave the set and world of HIMYM with tons of precious memories; in some cases, they took stuff with them. 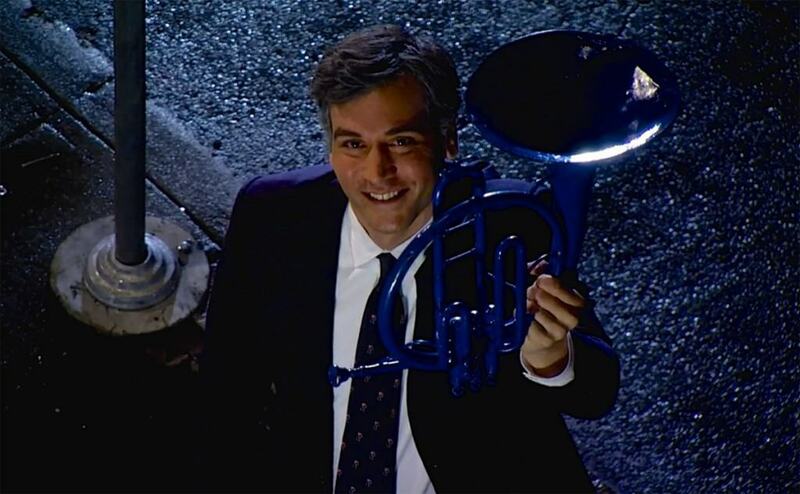 The director and writers walked away with the yellow umbrellas used throughout the show’s run, but more importantly, the blue French horn now belongs to Josh Radnor — and this time, he didn’t even have to steal it. All things considered, there’s no one out there who deserves it more; the show gave millions of viewers plenty to enjoy, so it’s only natural that the leading man should walk away with the horn that started it all. Of course, one can only hope he doesn’t get jealous of NPH’s Playbook ownership and steal that, too.